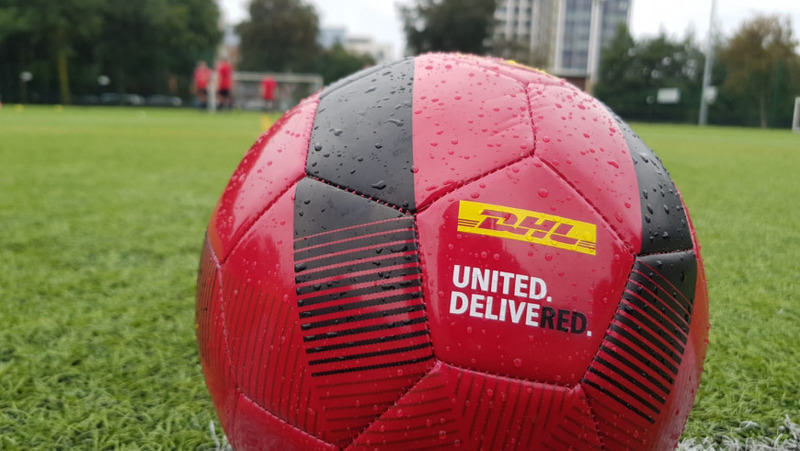 This season’s DHL UNITED.DELIVERED. Global Football Tour kicks off right outside the Red Devils’ home stadium with a group that knows the pitch well but only dreams of setting foot on it. 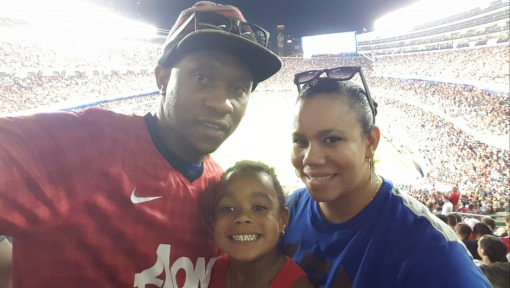 From August to May every year, these Manchester United fans keep quite the schedule. 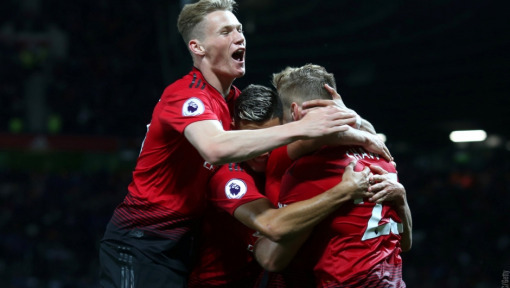 Beyond attending all the home games at Old Trafford, members of the local Manchester United Supporters’ Club in Manchester travel all over the country, Europe and, yes, the world to watch the Red Devils play. The Manchester United supporters football team takes things a step further. 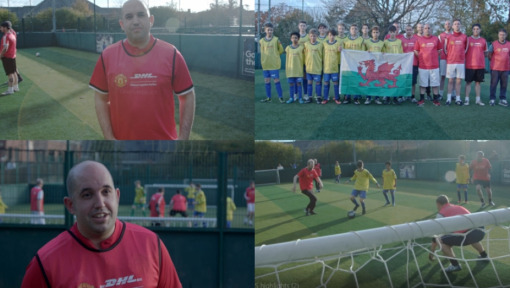 These match-going fans crisscross Britain each week to compete against the supporters of other teams, like Liverpool or Arsenal. 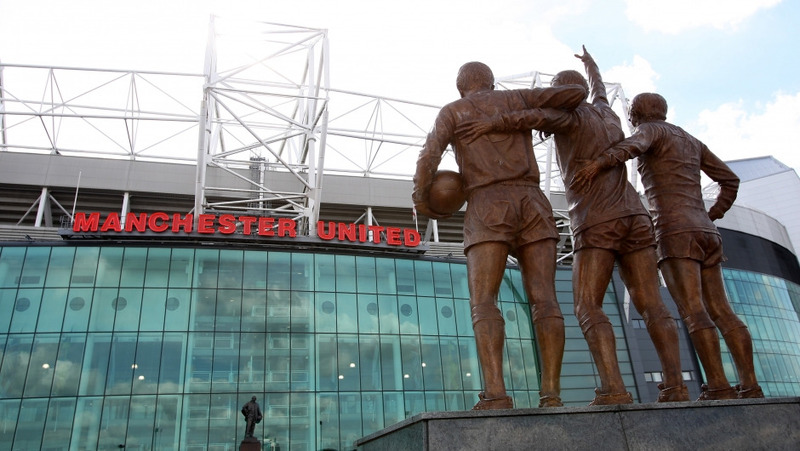 In Manchester, they play their matches against the backdrop of the Theatre of Dreams itself. 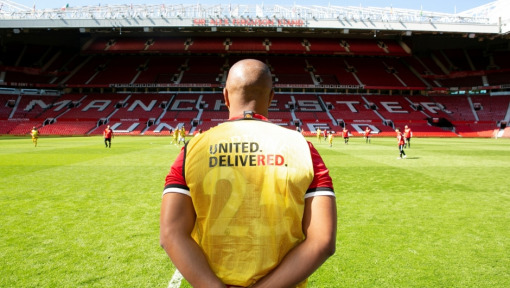 It’s on this field – in the shadows of Old Trafford – that this season’s DHL UNITED. DELIVERED. Global Football Tour kicks off. Match host Andrew Kilduff is honored to be the first. 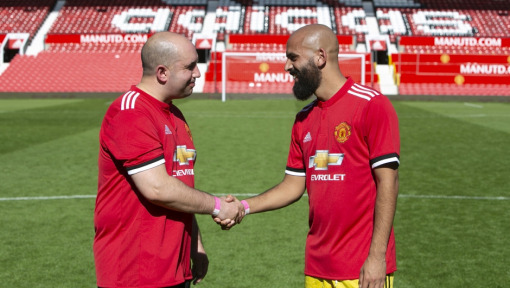 He and the supporter’s club are using the opportunity to host a charity game to raise money for the Manchester United Foundation and other charities. On a rain-soaked September day, Andrew pitted the club’s veteran team of players over 35 against the main team, which travels the country to line up against other supporters’ teams. Despite the weather, the players were excited to sport United gear, do some fundraising and have a little fun. In fact, the players are downright delighted to be dancing in the rain – proudly sporting their yellow and red kits and fighting for the ball as if playing their biggest rivals. “I think everyone’s enjoying the experience of playing for both the red team and the yellow team as part of the UNITED. DELIVERED. tour,” said Andrew. While many United supporters around the world can only dream of setting foot in Old Trafford, Andrew and his team know the pitch well. But most of them have never felt the grass under their feet and certainly none of them have kicked a ball on United’s most sacred ground. Register your chance to host a match a live a dream! We’re inviting you to join the largest fan football tour in the world. Click here if you’d like to host a UNITED. DELIVERED. match and have the chance to win a trip of a lifetime to Old Trafford!